Today is #GivingTuesday, a national holiday that comes after Thanksgiving to encourage us to become the philanthropist we all are meant to be! The leftovers have been eaten, and we’re already looking towards the next holidays. Whether you celebrate Christmas, Hanukkah, Kwanza, or just enjoy a few days off, we can agree that this is the season of giving. Before you fret over decorations or fill the stockings with care, let’s think about those in our community that needs our help. #GivingTuesday is in its seventh year and is a social media movement. In this day and age, social media is vital to getting the word out to our communities and beyond. It’s easy now to learn more about causes that you care about, and it’s even easier to donate what you can. Thanks to giving platforms like DoTopia, giving is now trending across the globe. People want to help by donating money, time, or resources to causes that they care about. The goal is to spread the joy that is giving, not to mention helping those in need. It’s easy to get caught up in your own bubble. #GivingTuesday is a reminder that we can all create the hope and change that bring all of us together. Be a part of the movement and give today! How Do I Choose the “Right” Cause? This part can be overwhelming. On DoTopia alone, there are over 1.6 million charities to choose from. Luckily we make it easy to narrow down choices so that you can feel good about your giving. Simply enter your zip code, choose the causes you are interested in, and DoTopia will show you non-profits in your community. You can find more about ways to give here. Additionally, if you want to register your non-profit, you can do that here. Now let’s get out there and make this the best #GivingTuesday yet! November 27, 2018 Sophia Catanoso blog, DoDollars, Doing Good, DoTopia, Giving, Personal Giving, Uncategorized, Volunteering, Wellbeing Comments Off on Today is #GivingTuesday 2018! Thanksgiving is here! For many, this means family gatherings, basting turkeys, and watching football. Thanksgiving is a beautiful occasion for loved ones to come together and remember why we have this holiday in the first place. This holiday was established to remember the peaceful gathering of the early settlers and Native Americans, although historically it’s not that simple. Relations between colonists and Natives were usually met with violence, hate, and often death. For hundreds of years, colonists have been taking land and resources away from Native Americans, and this pattern has continued to this day. 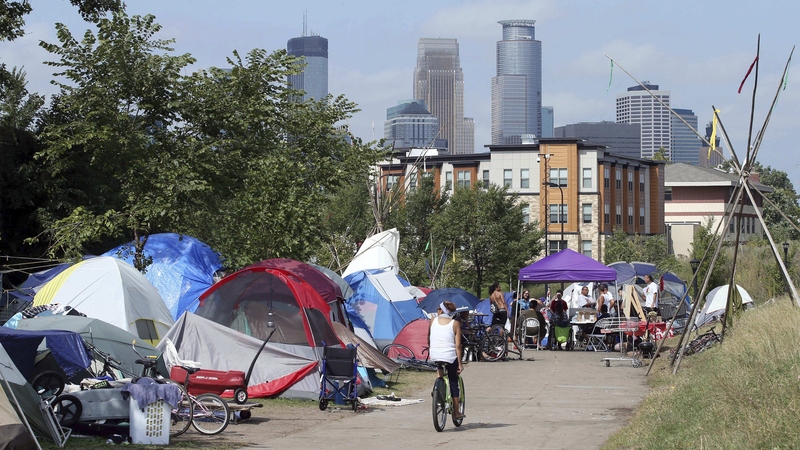 That’s why we thought it would be appropriate and timely to talk about the homeless encampment in Minneapolis, Minnesota, otherwise known as the “Wall of Forgotten Natives”. Not only that, but we want to provide resources so that you (yes, you!) can help. According to the 2015 Wilder Research on Homelessness in Minnesota, Native American adults make up 8% of the homeless population, while only 1% of the total Minnesota population is Native American. Over the past several months, homeless people have been living in tents along highway 55. What has started as a few tents has now grown into a village of over 300 people. Most of these people are Native American, many of them struggling with addiction. Three people in the encampment have already died due to overdose, as temperatures continue to drop. This encampment has gotten national attention, and is increasingly harder to ignore. There is some good news, though. 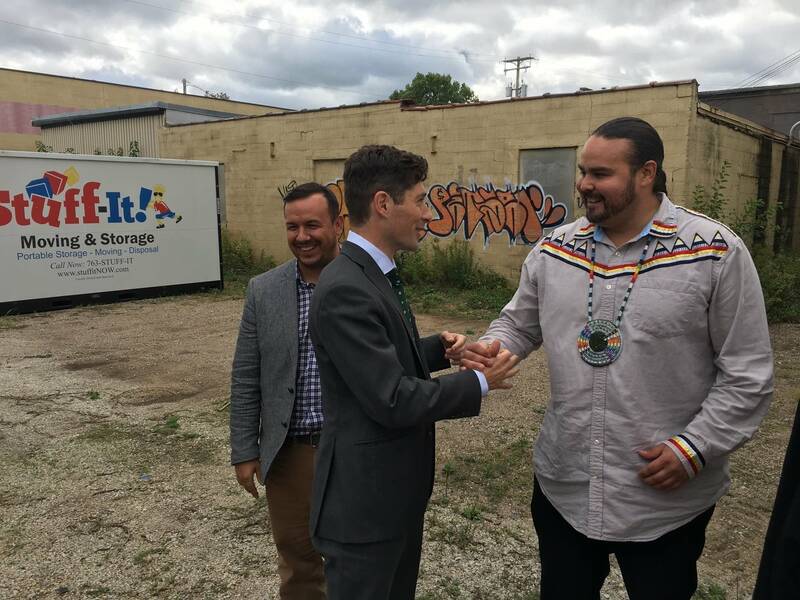 Minneapolis Mayor Jacob Frey has been following everything closely and has promised shelter by early December 2018. There are plans to build an emergency shelter for these people near the encampment. This “Navigation Center” will provide not only housing but other vital resources such as counseling, treatment, etc. Sam Strong, the Red Lake Tribal Secretary, has donated an acre of his land for this “Navigation Center”. Frey seems to be working hard with these people in order to provide the safest options. Time is ticking though, and winter seems to have come early this year with degrees well below freezing. There have been many organizations that have donated time, resources, and money to the encampment. Talk to your school, place of worship, or community center to set up a donation. Set up a food drive, or if you’d like to help groups already underway you can find them here. There’s also resources here to donate directly to Natives Against Heroine. It’s always the right time to help those in need, but now especially. DoTopia is eager to introduce our non-profit of the week, House of Charity! 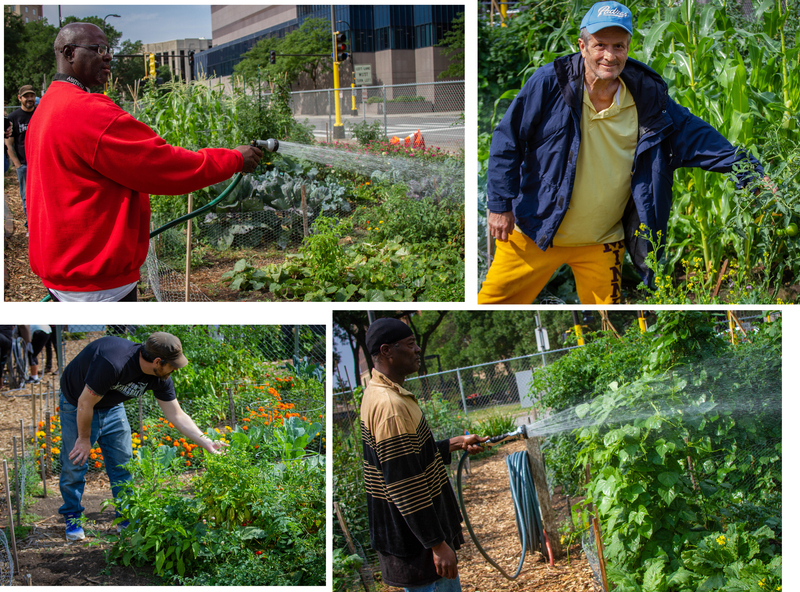 House of Charity is a Minneapolis based non-profit that provides residency, food, and other vital resources to those experiencing homelessness. We spoke with Anna Cisewski, House of Charity’s Fund Development and Communications Assistant to learn more about this cause. House of Charity was founded in the 1950s and focuses on helping people experiencing homelessness one person at a time. Everyone is different, and so everyone’s process will be different. House of Charity specializes in four resources: housing, public meals, recovery, and public showers. According to Minnesota Homeless Study, “older adults are one of the fastest growing groups of people experiencing homelessness”. There was an 8% increase between 2012 and 2015 in homeless adults over the age of 55. Although House of Charity provides resources for all ages, their housing and residency focuses on single adults. House of Charity isn’t like every homeless shelter. In order to receive housing at House of Charity you must be referred by a case manager and prioritizes those with physical or mental illness. They have two types of housing, on-site permanent housing and scattered-site housing. On-site housing provides beds, meals, case management services and more for adult men and women at their site. Scattered-site housing supplies apartments for single adults throughout Hennepin County. This also includes frequent visits from Client Advocates, and helps with budgeting and adjusting to this new independence. House of Charity’s Food Centre located at 714 Park Ave, Minneapolis. Secondly, House of Charity provides free public meals. Food insecurity is an ongoing issue for low-income and homeless families and individuals. Every week day is open to the public for lunch, while week day breakfasts are provided for women and children only. This allows women and children and safe space and nourishing meal before starting their day. House of Charity feeds around 300 meals a day to folks around the Twin Cities area. This simple act helps thousands of people a year have a resource to at least one balanced meal daily. The third program is their chemical and mental health recovery. They have several programs such as therapy, chemical health assessments, and personalized recovery plans. The correlation between homelessness and substance abuse is incredibly high, as is homelessness and mental health issues. Not only does House of Charity allow these people to have a place to stay, but they help with treatment as well. Giving people residency isn’t always enough, and having these resources are incredibly helpful to those struggling with mental health or addiction. Finally, their newest resource is public showers. This might not seem like a big deal, but many struggling with homelessness don’t have access to something as simple as a shower. House of Charity provides free showers with a towel and soap to the public Monday through Friday. All of these programs and more are what make House of Charity so amazing. Every program helps and encourages individuals to achieve independence. Whether it’s by attending counseling sessions, having a hot meal, or living in a safe space to get you back on your feet. House of Charity is here to help. Want to help this organization by donating or volunteering? There are several ways to contribute to this cause. You can also contact them directly by calling 612-594-2000, or emailing at info@houseofcharity.org. Is it just us, or did the first day of spring show up out of nowhere? Perhaps it’s because our friends on the east coast are getting hit with Nor’easter #4. Before we know it, it will be April. Did you know April also happens to be National Volunteer Month? If you did, kudos! If not, don’t fret. You still have time to implement a volunteer campaign for your company and inspire your employees and customers to get involved. According to the Corporation for National Community Service, 25.3 percent of Americans volunteer, which is 62.8 million volunteers. They average 32.1 volunteer hours per person, per year, which comes to 7.9 billion hours of service, the equivalent of $184 billion. 61% of Millennials said a volunteer program would be a factor “when choosing between two potential jobs with the same location, responsibilities, pay and benefits. 50% of Millennial employees that volunteer are very loyal toward their company, proud to work there, satisfied with their employer, and likely to recommend their company to a friend. According to the “Pulse Survey,” 40% of a company’s reputation is determined by volunteering and Corporate Social Responsibility. Company wide volunteer day: Several years ago Nvidia opted out of holiday parties and instead spent that money and hundreds/thousands of employee hours to invest in refreshing schools nearby with facelifts, new equipment, sod, murals, new paint. Volunteer of the year award: AT&T had 4,288 employees who received the President’s Volunteer Service Award. They received this prestigious honor from the President of the United States in recognition of sustained volunteer service. To earn the national honor, their employees volunteered more than 100 hours during 2016, and in some cases, more than 500 hours — earning them the Gold Award! Gift time to each employee to volunteer on their own: Ben & Jerry’s employee volunteer program is celebrating 10 years of activism. In 2016, the company’s 475 Vermont employees contributed 3,258 hours of service. The company provides each of these employees with 40 hours of paid time off every year to work with local service providers. For further discovery, here are the 50 best workplaces for giving back in 2018. Not only will volunteering make a difference in the community, it will make a significant impact on each individual’s wellbeing. This Volunteer Month, inspire your people to get out and get involved in the community. When you support good acts within your company, everyone wins.